super game cartoon mania collection: Beetle Busters: Freeze & Collect Game! 2A! 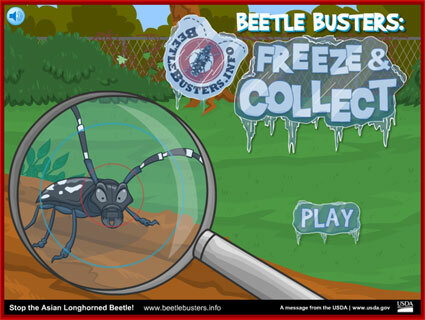 catches beetle mania with the Beetle Busters: Freeze & Collect Flash game! We worked with our friends at JMH Education to create this online game which helps spread awareness about the Asian Long Horned Beetle, or ALB for short. The ALB is an invasive pest that destroys trees and threatens our industries and wildlife habitats. In the game, players use their magnifying glass to identify the ALBs and then freeze and collect them. See how many points you can earn by collecting as many ALBs as you can spot, and help stop them from spreading. Don’t forget to answer the bonus questions between levels to earn extra points! 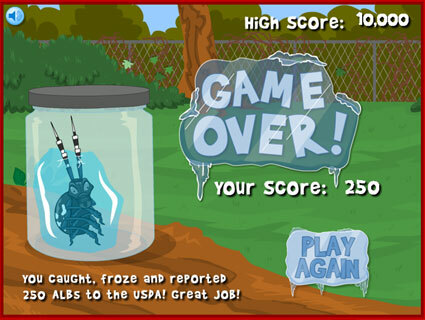 Check out more screen shots below, then head over to www.beetlebusters.info and play the game! Good hunting!